Looking for a good deal? Browse through our special offer and special promotions because we offer great discounts on catamaran charter. These offers may not be available during peak season so hurry up and book your yacht in Croatia. It’s never too late to book a holiday. Discover our late holiday deals, take the advantage of our fantastic last minute discounts and book your last minute holiday in Croatia. 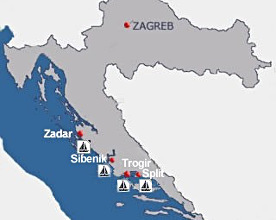 Our charter bases are located in following marinas along Croatian Adriatic coast: marina Zadar, marina Sukosan, marina Sibenik, marina Trogir and marina Split.